Merilyn Simonds and Wayne Grady (centre) answer questions and sign books after their presentation at the October 11 twig gathering. 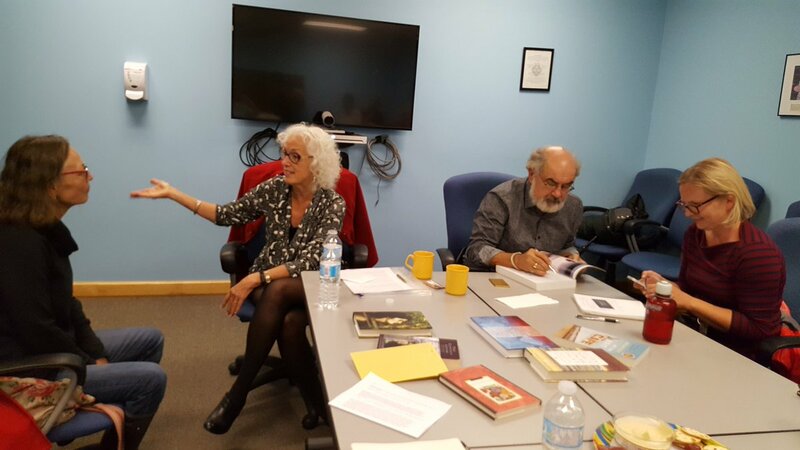 Sharing a room with Wayne and Merilyn, two of Canada’s top literary talents and guests at our October 11 meeting, I gladly opened my mind to learn how to be a better editor. Kingston-based authors and life partners Wayne Grady and Merilyn Simonds have between them penned more than thirty fiction and non-fiction works for adults and young readers. Over the span of forty years, their writing has been published by giants Doubleday Canada, Macfarlane Walter & Ross, McClelland & Stewart, and others, and sold around the world. Wayne is also an award-winning translator. I would list their accumulated awards and accolades here—but they won’t all fit. Her description of the almost superhuman dedication and work ethic of Ellen Seligman, with whom she worked on several books, confirmed all the stories any follower of Canadian publishing has heard. “She wouldn’t even give me Christmas Day off,” Merilyn chuckled. 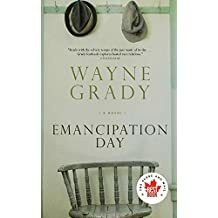 Wayne began his portion of the night by recounting his experience working with editors on his acclaimed debut novel, Emancipation Day, published in 2013 by Doubleday Canada. His inspiration for the novel arrived after learning the startling truth about his family: his father was black, and perhaps didn’t want his family to know. Having decided to fictionalize the story, Wayne, who until then had been a non-fiction writer, found himself unable to know where to draw the line. The novel’s first draft almost reached a thousand pages and encompassed a story told over a century. It even featured a cameo of “Victor Hugo in Vietnam.” Wayne knew he needed help to focus it. He finally found that help when Nita Pronovost read the manuscript and promptly ticked off three specific areas that needed his attention in order for it to work. Emancipation Day ended up a novel of 336 pages that focuses on the story of a complicated love between a black musician passing as white, his wife, and his father. It was long-listed for the Scotiabank Giller Prize in 2013 and claimed the 2013 Amazon.ca First Novel Award. For our next gathering, on November 8, we’ll be hosting indigenous writer Rick Revelle, who authored the bestselling YA books I Am Algonquin (2013), Algonquin Spring (2015), and Algonquin Sunset (2017), published by Dundurn Press. He’ll be sharing with us his experiences, including working with non-indigenous editors. Seminar November 18: Make MS Word Work for YOU! On Saturday, November 8, Adrienne Montgomerie will be teaching our Fall Seminar, Make MS Word work for YOU. Bring a laptop and join in as she shows how editors can get the best out of Word so that they can focus on more meaningful tasks. For more information, see this post or email Elizabeth: elizabeth@danjou.ca. Expert instructor Adrienne Montgomerie shows you how to level up your Word game and lighten your workload. Get the software to do the heavy lifting, so you can focus on the meatier issues in your writing or editing project! Learn skills that make editing faster, more accurate, and efficient. Adrienne M ontgomerie has been teaching people to make nice with Word since 2003. This specialized editors’ course has been a sellout since she first offered it in 2012. She is a Certified Copyeditor and a 20-year veteran of freelance editing. She used to work mainly on high school science materials, earning her the moniker of scieditor, and today she can be found on the roster of Canada’s largest remaining publishers when she’s not teaching and writing about editing. Right Angels and Polo Bears is her home base. When: Saturday, November 18, 9:30­ a.m. to 4 p.m. Well-known Kingston-area writers Merilyn Simonds and Wayne Grady will discuss how the editorial process and relationships with editors, agents, and publishers have changed over their 40 years as authors. They’ll also describe their work as mentors/editors to emerging writers. 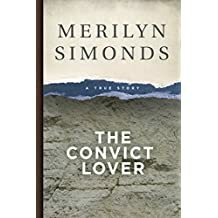 Merilyn Simonds is the author of 17 books, including a Canadian classic, The Convict Lover. Her most recent book, Gutenberg’s Fingerprint: Paper, Pixels & the Lasting Impression of Books, explores the digital shift and how we read today. Wayne Grady is the author of 14 books, the translator of 15 novels, and the editor of 11 anthologies. His first novel, Emancipation Day, won the 2013 Amazon.ca First Novel Award. 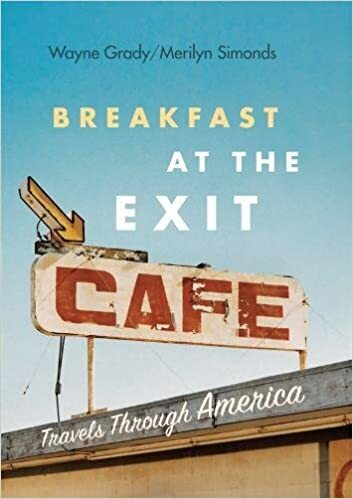 Wayne and Merilyn co-authored Breakfast at the Exit Café: Travels Through America. Join us for an intimate look at the Canadian publishing scene. The speakers will have books for sale; bring cash and get your CanLit fix straight from the author! Don’t forget to register for our fall seminar with twig founder and editing tech guru Adrienne Montgomerie! Do you often find yourself slogging through tedious editing tasks onscreen, thinking “There must be a better way”? Have you sometimes suspected that some advanced features of Word (such as Styles, Macros, and Wildcards) might be useful to you, but feel intimidated by them? Would you like to edit more efficiently and accurately? Make MS Word work for you for a change, so you can focus on the real editing issues. The workshop includes a 100-page handout with demo video support and lunch by Epicurious. The theme to kick off the year at our September meeting was “How I Read My Summer Vacation.” At times we laughed, at times we sighed, as we recounted the books with which we enriched our minds in spare moments. Some of us read non-stop while others read hardly at all (or, as some editors in attendance put it, “only when paid to do so”). The exercise helped members reconnect, to shake off that isolation some of us might have felt at times over the summer. It also gave us a lovely way to get to know some first-time attendees: Beth Bedore, an Editors Canada member for some years but new to the Kingston twig “just down the road” from her home in Belleville, who enjoyed Nike, Nurses, and Neon: The Ancient Greek and Latin Words We Use Every Day, by Nigel P. Brown, and newcomers Brenda (The Life and Death of the Great Lakes, by Dan Egan), “twig Facebook groupie” Jenn (Open Veins of Latin America, by Eduardo Galeano), and John (Killers of the Flower Moon, by David Grann). We’ve packed our fall program! 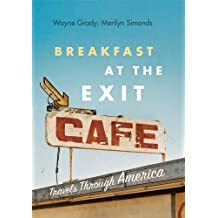 At our gathering next month, Wednesday, October 11, well-known Kingston authors Merilyn Simonds and Wayne Grady will join us to discuss how the past forty years have changed the editorial process and relationships between author and editor, agent, and publisher. Merilyn and Wayne will also talk about mentoring emerging writers. On Wednesday, November 8, we’ll be hosting Algonquin author Rick Revelle, writer of the three young adult novels I Am Algonquin (2013), Algonquin Spring (2015), and Algonquin Sunset (2017) for Dundurn Press. He’ll be talking to us about the skills we need to work with Indigenous writers. Our Seasonal Social will be on Wednesday, December 13. Watch this space for details. Download our fall program flyer and share it around! Make Microsoft Word work for you for a change! Adrienne Montgomerie will deliver the workshop Microsoft Word for Editors on Saturday, November 18. She’ll be teaching everything editors need to know to make Word work for them (for a change! ), so you won’t want to miss out. See the twig web page for more details. Claim your spot early to get a fee discount: Until October 13, Editors Canada members pay $160; non-members pay $195. After October 13, Editors Canada members pay $185; non-members pay $220. The workshop will be held at the Tett Centre, 370 King Street, Kingston, Ontario, from 9:30 a.m. to 4:00 p.m. Please help us spread the word wherever and whenever you can! Nancy Wills has stepped down from the role as twig co-coordinator after many years of service, including managing the money and filing reports to national—and bringing meeting munchies! She was warmly thanked in absentia. Nancy plans to continue as an active Twig member and volunteer. The Editors Canada mentorship program is now up and running! Members and student affiliates can apply to have or be a mentor. Mentorships focus on whatever area(s) both parties agree on; someone could even be both a mentor in one area and a mentee in another. Check out the new Editors Canada webinar series! First up are macros and breaking the rules. Ellie led a discussion about a possible new policy of charging a small fee (in the neighbourhood of $5) to non-members who attend Twig gatherings. (Attendance would continue to be free for members and student affiliates of Editors Canada.) This would help cover our upkeep (room fees, honoraria for guest speakers ,snacks and drinks, etc.). However, it’s important to the twig leadership that everyone feel welcomed. Most of the comments, from both members and vistors, were in favour of the policy—with some suggestions for tweaks and exceptions. We’ll bring up the issue on the Facebook page and perhaps another meeting before making a final decision.